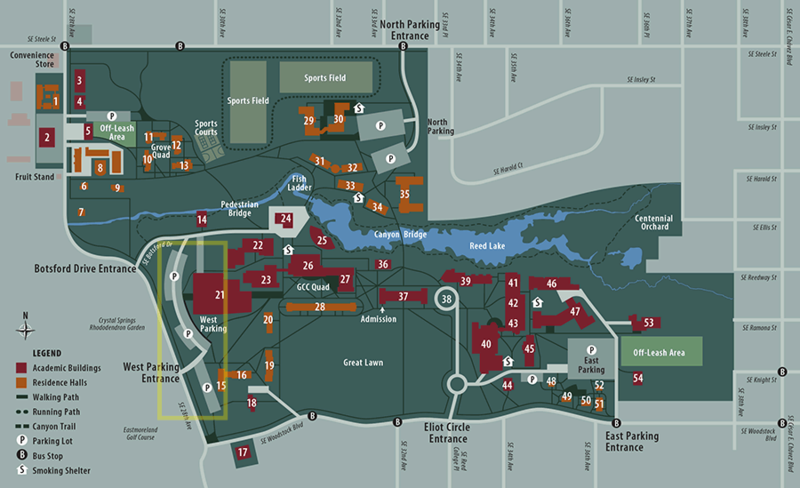 Please park in the college’s west parking lot and use the crosswalk at the intersection of SE Woodstock Boulevard and SE 28th Avenue to walk to the Parker House, number 17 on the map. Please do not park on the neighborhood streets. SE Moreland Lane is for use by Moreland Lane residents only. For reasonable accommodations or assistance with access, please call 503/777-7522 in advance.